President Donald Trump has just announced the U.S. would withdraw from the nuclear agreement signed with Iran in July 2015. Last week, Israeli Prime Minister Benjamin Netanyahu, trying to support Mr. Trump’s decision, presented a trove of archived documents pertaining to the Iranian nuclear weapons development program obtained in a daring 2018 Israeli black ops operation in Iran. Mr. Netanyahu’s decision to present the information in a televised address can be seen as a move intended to attain diplomatic and psychological effect. In his address, the Israeli leader claimed the information obtained by Israel calls for a reassessment of the Iran Deal, signed by the U.S., Russia, China, France, the U.K., Germany, and Iran. 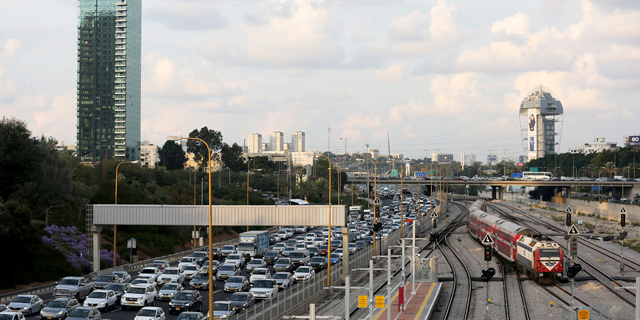 Mr. Netanyahu, a vocal critic of the deal, repeated his call to either fix it or nix it. On the 18th minute of his address, Mr. Netanyahu claimed that the “deal paves Iran’s way towards obtaining a whole arsenal of nuclear bombs.” He further mentioned the three components required when building nuclear weapons: enriched uranium, ballistic missiles, and a nuclear weapons program that can convert enriched uranium into a bomb that could be delivered on a ballistic missile. Mr. Netanyahu claims that the main shortfall of the deal is that it allows Iran to accumulate endless amounts of enriched uranium after a ten years term. He also warns that the deal does not address Iran’s missile caches or its nuclear weapons program. There are some counter arguments. Indeed, after a 10 years time, Iran could resume uranium enrichment on a wide scale. It is important to note that the Treaty on the Non-Proliferation of Nuclear Weapons (NPT) allows the enrichment of uranium under the supervision of the International Atomic Energy Agency (IAEA). Iran was faced with more stringent policies on uranium enrichment for ten years because it was caught violating the NPT. Contrary to what Mr. Netanyahu and his ministers are claiming, at the end of this ten-year period, Iran would not be able to stock up on nuclear weapons. Supervision over Iran’s fissile materials will remain high, and Iran’s commitment to never develop nuclear weapon capacities will remain intact. The deal does not tackle the issue of Iran’s ballistic missiles. While one may not agree with the negotiators’ decision to leave these issue out, it is important to remember that by restricting nuclear activities on the fissile materials and the weapons group, the deal ensures all of Iran’s ammunition is conventional. The Iran Deal also discusses issues pertaining to the “weapons group”, which is one of its key achievements, because it is a topic which is not supervised under international conventions. Any such activity, and in particular the renewal of the activity of the organization within Iran’s defense ministry that handled nuclear weapons program before 2003, will be considered a violation of the NPT and of the 2015 Iran Deal. Western intelligence organizations should invest resources in trying to detect a possible renewal of Iran’s military nuclear activity. Mr. Netanyahu did not provide any “smoking gun” to such an activity. 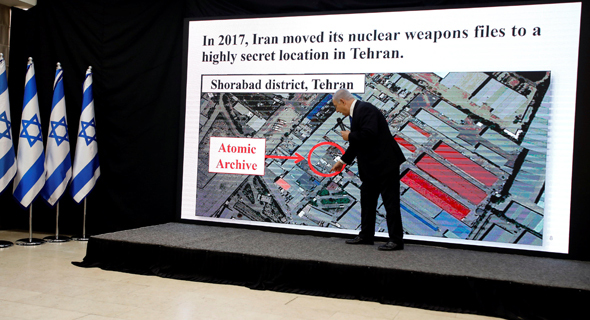 The information he presented does not change current understanding of the history of Iran’s “weapons group.” Original Iranian documents pertaining to Iran’s nuclear weapons programs were already published publicly and in the hands of intelligence organizations before the Israeli intelligence gained access to the documents presented by Mr. Netanyahu. If Israel was given a blank page and asked to rewrite the Iran Deal, it could have added numerous additional demands, but the reality of diplomacy is such that you have to give a little to get what you want. The Iran Deal gave the West a fifteen-year delay in Iran’s nuclear program. This is a good time for both Israel and the U.S. to improve their own operational standing in case Iran decides to renew it. Analysis of all other possible alternatives does not lead to a better plan when it comes to defending Israel. War comes at a high cost. It would also delay Iran’s nuclear program by four years at the most. It will also provide Iran with a good excuse for renewing its nuclear weapons program. Renouncing the deal and renewing the sanctions on Iran will turn back the progress that has been made. It would see Iran going on to enrich uranium undisturbed and its regime strong despite international sanctions. Mr. Trump will have a hard time convincing other leaders to agree on a new, more draconian version of the deal. The 2015 deal slowed down Iran’s nuclear program and strengthened Iran’s moderate leadership. The alternatives would put the state of Israel at risk. Joab Rosenberg is a former deputy head analyst at the Israeli Intelligence Corps. Mr. Rosenberg is the co-founder and CEO of Epistema Ltd., a Tel Aviv-based AI startup.